Clive Trevor Heating and Plumbing are specialists in all aspects of bathroom design and installation with over 25 years in the business. We are based in Madeley Heath, Cheshire and cover Newcastle, Stoke on Trent, Crewe and the surrounding areas. 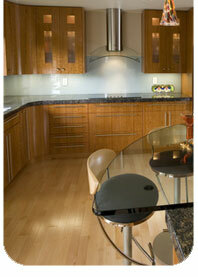 We offer a concept to completion service and offer free quotations and advice. 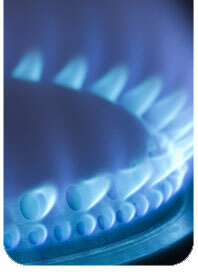 Our focus is always on quality whilst keeping our prices competitive. We can take care of every aspect of the installation including all associated plumbing, joinery, plastering, electrical work, drainage, tilling, decoration and floor coverings. We will advise on, and supply if required, the most suited Sanitary Ware, Brassware, Showers, Shower Pumps, Shower enclosures, Baths Etc. We install Bathrooms, En-suites, Wetrooms, Steam Generators, Walk in Shower enclosures, Fitted Bathroom Furniture, Jaccuzi Baths, Heated Towel Rails, Wetwall panelling, heated floors (electric and wet systems) and a whole lot more. We are gas safe registered (reg no 52594) and can take care of any pipe work, boiler, radiator or towel rail re- positioning requirements. We understand when large projects like bathroom replacements are undertaken that customers want continuity to completion, minimum disruption, care taken of their property and belongings, and work areas kept clean and tidy. We aim to offer all this and more. Please give us a call for a superior service. Clive removed old bathroom suit and installed a new shower enclosure, toilet and wash basin tiled walls and floor also fitted extractor fan. The workmanship was second to none, first rate, Clive was to say the least very professional, clean and tidy, polite, he always kept me informed about the work he under took and if he had to make alterations to the job. To be honest, the job Clive did was fantastic and the bathroom looks and works great. Clive always turned up on time put in a full day’s work and the job was finished before time. I would highly recommend Clive. Job was completely in time and as requested. Clive uses the technology to source websites and email with updates. Advice is given every step along the way to get to highly professional finish. I've no problem in recommending this company. Price and time limit set and job completed with a day to spare. A team of 10 completed the bathroom so we had specialists in plumbing, plastering, tiling, joinery, electrical work and floor fitting. All tidied up at the end of the day All arrived at times arranged The whole job is nothing short of a masterpiece and I would have no hesitation in recommending this company to anyone. Hi Clive Just want to say we're back home, and very impressed. Everything looks great. I thought during the week, that I'd not mentioned skirting board, but we have skirting board. 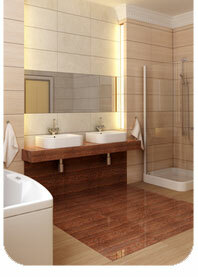 The wall panels look good, as does the floor, and you managed to get the right shower rail. We would not hesitate to recommend you. We have never before left home while work was on-going, but, even after our first meeting, I felt confident it would be ok to leave you to it.